Testimonials | Crane Building Company, Inc.
Our goal is twofold: Creating stunning homes and exceeding the expectations of our clients. When we have done both, our work is complete. It is with a genuine sense of satisfaction and our pleasure to highly recommend the Crane Building Company. We met with a few top rated builders before deciding on Crane Building. Our first meeting was an indication of what was to come and truly made our choice of builder easy. We were instantly impressed with their professionalism, integrity and genuine interest in our project. A year later, George and Sara Crane helped us make our dream house come true. Since we were first time home builders and live 800 miles from St. James, we had some concerns on what we might experience. We embarked on this project with our overall goals known, but little else. George’s expert planning, craftsmanship and design were first rate. As important, he incorporated our input into the final design. 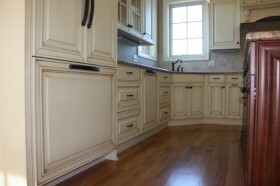 His team and choice of subcontractors are also top notch, especially the carpentry. Sara’s guidance and input on everything from color choices, stone work, cabinetry, lighting, flooring, and especially decorating, etc. are truly invaluable. She didn’t impose her vision, but worked closely with us to make our vision come to life in an impressive way. They always made us feel that the finished project was as important to them as it was to us. No request seemed trivial or was ignored. We truly believe together the team of George and Sara are impossible to beat. Thank you George and Sara for a fantastic job. As important, thank you for making our home project a pleasurable experience. We are very proud to recommend you to any and all. Dottie and I had very high expectations about the construction and quality of our new house in St. James. George, Sara, Thomas, and Robyn were always available to answer our questions and guide us through the process. Sara spent many valuable hours helping us with the selection of everything we needed to create a wonderful home. Their subcontractors are the best! They met and exceeded our expectations and we consider them friends even though the project has been completed. We love our new home and it would not have been possible without this great team. I would not hesitate to have them build my new construction in the future. George and his team partnered with us every step of the way, beginning with the design conception, and through the timely and “on budget” completion of our home. We toured a variety of impressive homes at St. James prior to selecting a builder, but after meeting George Crane and seeing the quality of his work, our decision to work with Crane Building Company was an easy one. 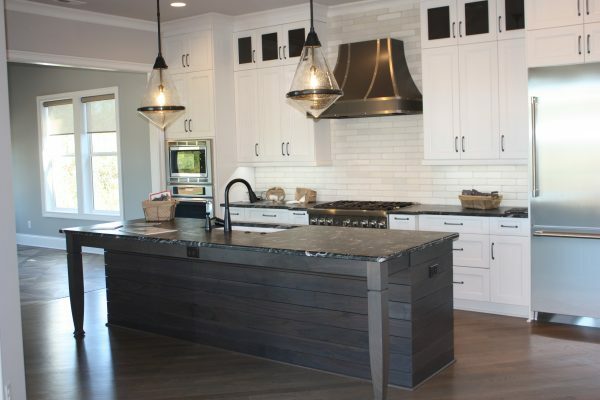 George and his team partnered with us every step of the way, beginning with the design conception, and through the timely and “on budget” completion of our home. Everyone involved in the process including the Crane team, subcontractors, and suppliers, was professional and knowledgeable, and their efforts on our behalf were seamlessly coordinated. Our new home includes a number of beautiful features that are part of George’s unique and high “standard.” We are very proud of our new house and had an enjoyable experience throughout the building process. We highly recommend that you put Crane Building Company at the top of your list when you start exploring options for your new home. 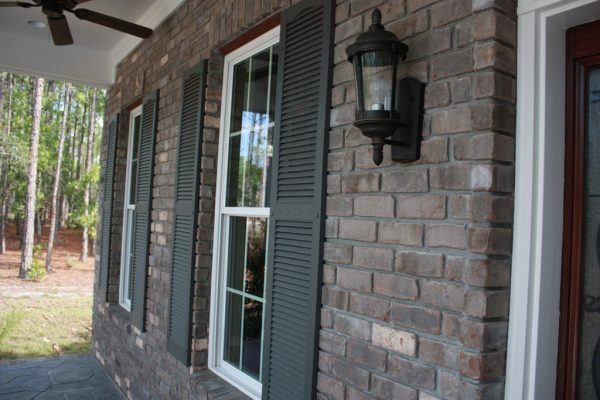 We’ve experienced outstanding customer service in ALL stages of the building process. 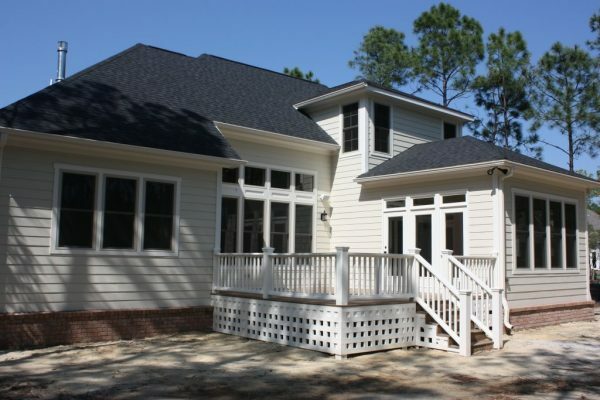 Craftsmanship and attention to detail are expected outcomes with Crane Building Company. 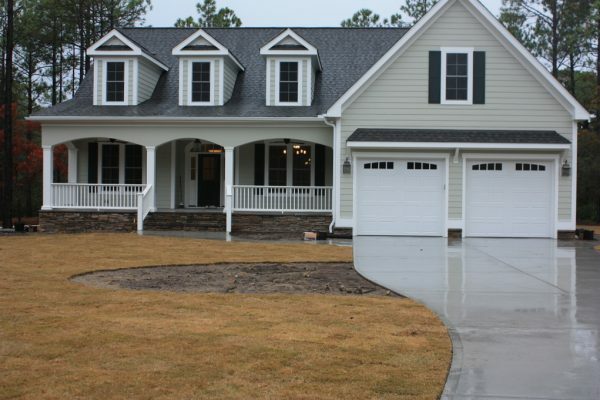 After interviewing nearly a dozen recommended and highly qualified builders in St. James Plantation, we sensed a sincere professional and courteous attitude with George Crane and ultimately chose Crane Building to create our home. 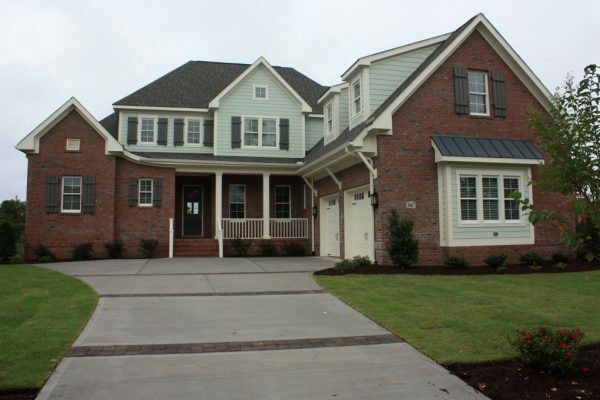 We’ve experienced outstanding customer service in ALL stages of the building process. Thank you, George, your Project Superintendent, efficient staff and highly skilled sub-contractors. After looking several years for a retirement home along the North Carolina coast we finally came across StJames Plantation and fell in love with the place but after at least 3 trips and looking at many many homes for sale we still couldn’t find that house. We then met some people at one of the Welcome weekends who said we know exactly what you’re looking for. Still being skeptical, we decided to take a look with one of the salesmen from StJames. We saw two homes built by George Crane and a couple others from other builders and knew then we should buy a lot and build our dream. We weren’t going to build for a few years and we thought we had plenty of time to pick and choose a builder. Then we met George ! Because of his wonderful customer service no job to hard or small approach we decided to go ahead and start. Numerous people told us don’t build, it’s to hard with your jobs you need to be there you can’t trust the builders etc but this was anything but true. Granted, picking out every little thing wasn’t easy but we at least knew that it was what we picked not what some builder picked. He and his staff helped us every step of the way. We both work in the Pentagon and at least 12 hours a day and couldn’t get there that often but we didn’t worry, George was always there taking care of everything, answering all my emails, questions, changes (yes changes) etc. There was no detail left undone, no questions left unanswered, there were absolutely no problems and it was done before he said it would be. Remember this is your dream not some builders idea of what your dream is but yours. That is what makes George so special he understands that. Your dream home should be just that your dream. If you want to see what quality workmanship looks like just let me know. I would love to show you our dream come true. Call me or email me if you have any questions or would just like to hear more. More so than the other builders in the area, Crane Building Company is able and willing to create for the client, not from a pre-conceived idea. The first thing we had heard from a previous client about George Crane was, “He’ll do anything for you.” Having chosen Crane from seven other companies, we now understand what was meant by that. More so than the other builders in the area, Crane Building Company is able and willing to create for the client, not from a pre-conceived idea. 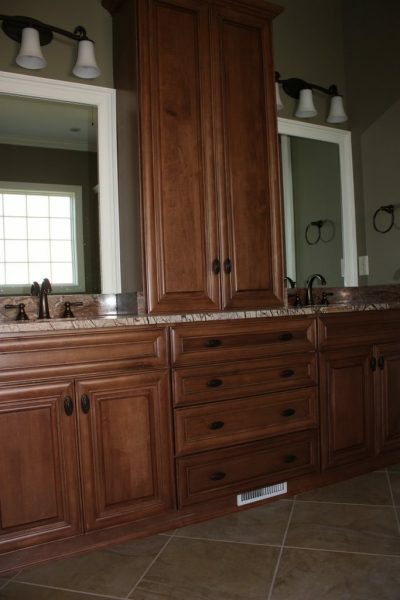 We wanted a dog shower; George said, “Good idea!” We wanted to use an unusual composite decking; he said, “No problem.” We wanted built-in cabinets in two rooms; he said, “Let’s make it three.” Our home is full of gee-whiz ideas that other builders balked at. So, thanks, George. Come on over for a drink from our custom coffee bar or beverage center! Our most important decision for building our home was choosing George Crane as our builder. George helped us through the process as though it were his own home. He was always available to answer our questions, and we felt his honesty and integrity were a key factor in how everything was handled. Our house came out fabulous and we can’t say enough wonderful things about George and the entire team at Crane Building!!! Thank you, George and company, for being such perfectionists. Building a house is a very involved process — making sure this point of your life is the time to settle down and in what location; the choices are well thought out; and, allowing for no mistakes. We have looked at many opportunities and spoke with several other builders. But after meeting with George Crane and discussing our ideas, he and his staff made our construction process very easy. Crane Building was, with not a doubt, the right choice. There was no lack of communication or any misunderstandings. 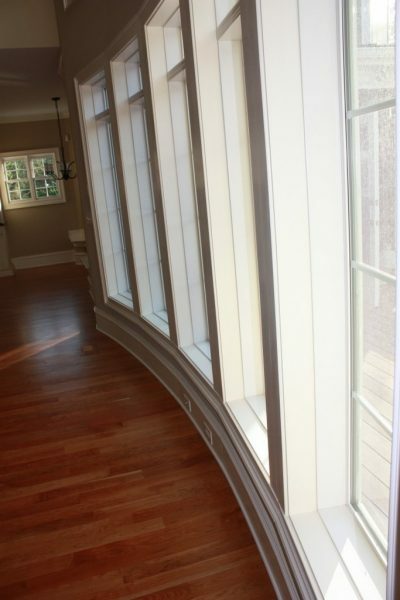 Our home was built with a great deal of pride and displays nothing less than superior workmanship. Thank you, George and company, for being such perfectionists. We are enjoying and are very proud of our home. The craftsmanship in the construction is excellent and we now have our dream retirement home in St. James. From beginning to end, everything went on schedule and exceeded our expectations. We couldn’t be more pleased with our building experience with George, Sara and Tommy. Our experience with Crane Building has been excellent. After living overseas for a few years we returned to the US to begin thinking about our retirement home in St. James. We interviewed a number of prominent builders and all appeared to do excellent work. George Crane was the first builder we met and found him to be sincere and honest in describing all aspects of the project. We were at ease with George from the beginning and felt that we could easily communicate with him from 600 miles away while our house was under construction. George was very fair, always answered the phone and handled all issues related to the POA requirements. Sara Crane’s leadership in planning the details and major selections was a lifesaver and joy. Her intuition and ability to understand what we liked within our budget made the process easy. In addition, George and Sara offered suggestions where we could increase value while taking advantage of efficiencies. The craftsmanship in the construction is excellent and we now have our dream retirement home in St. James. From beginning to end, everything went on schedule and exceeded our expectations. We couldn’t be more pleased with our building experience with George, Sara and Tommy. Our experience with Crane Builders has been by far the best. We would highly recommend them as exceptional professionals who will deliver a superb, quality constructed, one of a kind, home. George and Sara Crane are the ideal team to build your dream home. George’s meticulous attention to quality construction, specific details and customization makes him a pleasure to work with in designing a one of a kind home. Sara is a talented interior designer, who will assist you in the selection of appliances, granite, paint colors, tile and really every aspect of interior design. With her pleasant, easy going personality, she guides you without being overbearing. She listens, consults and is skilled in helping you make the best choices without compromising your individual style. 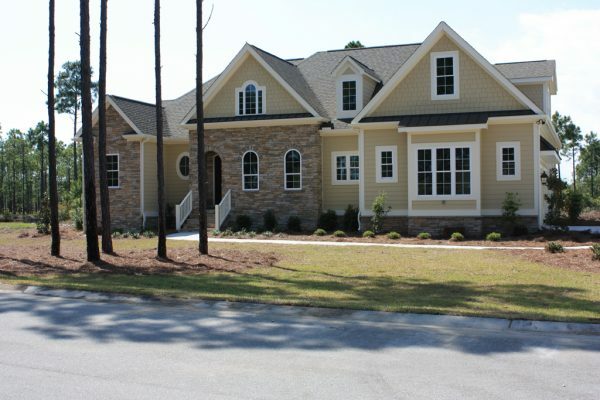 We have moved over ten times in our lives and have had numerous new homes and have totally remodeled an existing home. Our experience with Crane Builders has been by far the best. We would highly recommend them as exceptional professionals who will deliver a superb, quality constructed, one of a kind, home. Our satisfaction was Crane Builders primary concern throughout the entire building process. There is no doubt we made the right decision in choosing them to build our home. I’ve already recommended George to a friend who has a lot in Winding River and is looking for a home builder. After buying our lot in Winding River, we spent a couple summers interviewing builders and touring houses they had built. After all our work, we selected George as our builder — we liked the fit and finish of his houses and we felt comfortable with George personally. He’s not only easy going, but he’s very accommodating. We knew we wouldn’t be nearby as our house was under construction, however, we felt comfortable working with George long-distance. Once the house was underway, we worked with not only George, but his wife Sara, who helped with interior decorating, and Tommy, the on-site superintendent – we found all three great to work with. 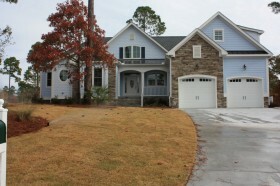 Our house was completed in late November 2012 and we moved into our new house in December 2012. I’ve already recommended George to a friend who has a lot in Winding River and is looking for a home builder. Thanks Crane Building!